I have a problem with the throttle sticking, when I come to a junction the revs stay at about 1800 unless I blip the pedal then they will normally return to normal (1000). I am running twin HS2's. I have replaced the cable, all the linkages seem free and the dashpots aren't sticking. The only thing I can think of is the throttle adapter thing is fouling on the manifold. I don't know the make of the manifold (LCB) but I think I will put a Maniflow Freeflow on it over the summer. The part on the Linkage that the Throttle Cable attaches to looks up-side-down. Ah ok, so if it was the other way it would bend away from the manifold? Anyway of changing it over without pulling the carbs off? Yeah, the other side of the 'triangle' rests just off the Choke linkage. No way I know of, it's Carb's off !! I can't get the buggers off, I'm trying to get them off on the manifold so all the manifold nuts are off and the cables disconnected and out of the way. The heat shields foul the bulkhead I have removed the bolts out of the top two engine steadies to try and tilt the engine forward but it seems solid. Any ideas apart from break my hands and undo the bottom carb to manifold nuts? 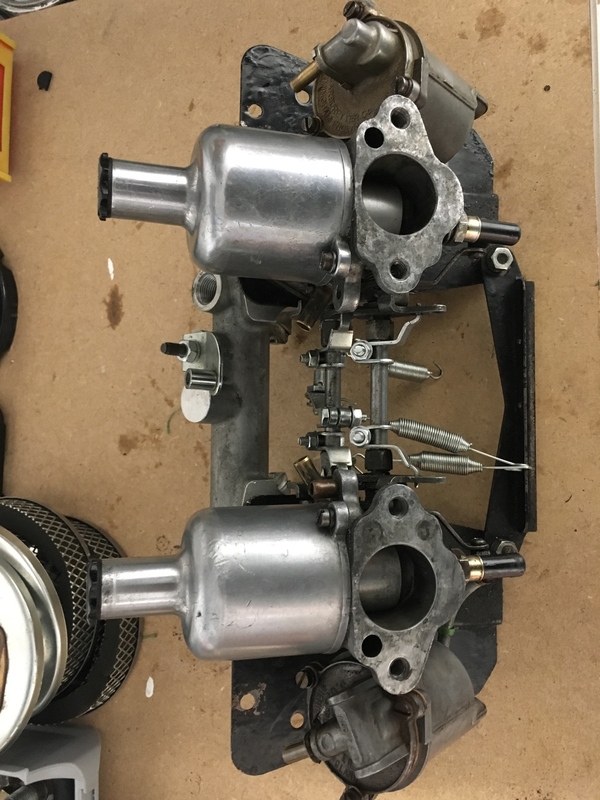 Last resort might be to try and take out the manifold studs so you can lift the carbs straight up? I usually undo the Manifold off the head, with the Carbs in place. I can just do these with my 1/4" Drive set. This is one of reasons I gave up on twins. I would say there is a spring missing - the throttle cable seems to have no tension in it. They are being a pain but I don't plan on taking them on and off very often. Maybe next time the engine is out I'll have a good look at the shields and see if I can trim a bit to give clearance. The spring is there but going off the right hand side as it was fouling on the manifold, now I know why. Edited by davej, 08 February 2019 - 09:26 AM. Well I finally got the carbs off, had to undo the bottom steady and diff to exhaust, I then had to remove the bolts through the top engine steady and thermostat housing, it seemed to be sticking on the stud. After that I had enough wiggle room to get the carbs out. Should it look something like this? 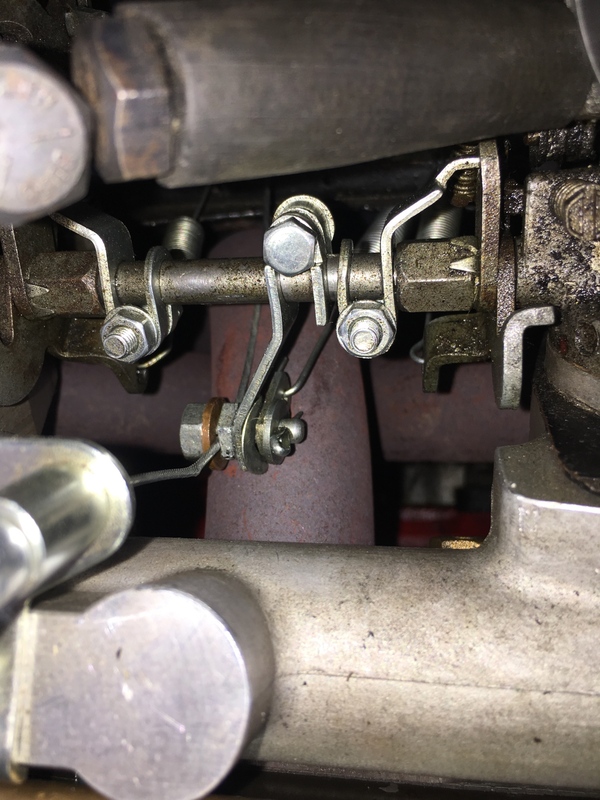 I'll add though, that this linkage ^ is an easier one to set up correctly, as when in an idle position, the top of the 'flat' of the triangle should be set such that it is 0.020 - 0.030" off the Choke Linkage. 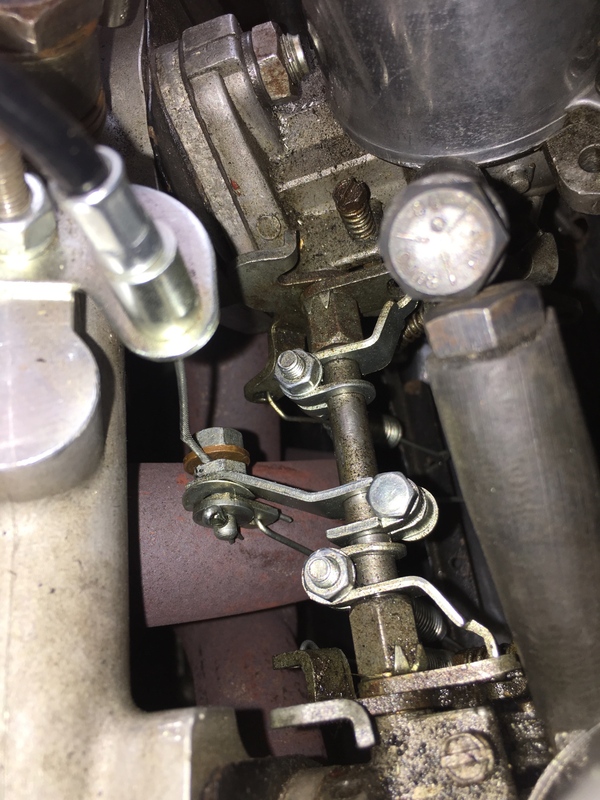 This ensure that there should be the right spring tension and that the Linkage will move through the correct Arc Angle over it's total movement. 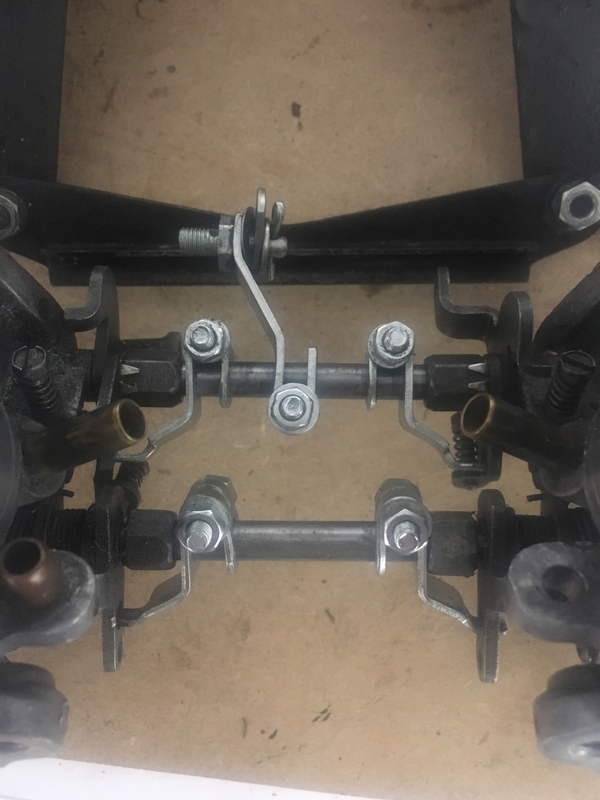 However, while you have them off, I'd suggest checking that they are assembles on the manifold as per they are when on the car and checking the linkages and throttles are totally free with free play in the linkage throughout it's range of movement. 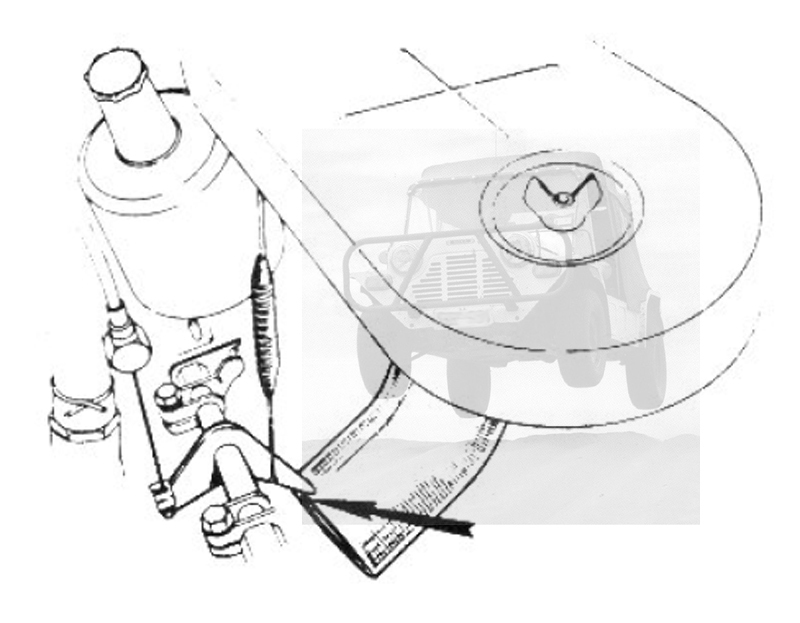 Also, check you have reasonable spring tension with the throttle in the idle position, as the natural manifold vacuum tends to want open the butterflies. Right ok, so was it right for the linkage I have before?